Pay-what-you-can digital download at Bandcamp. 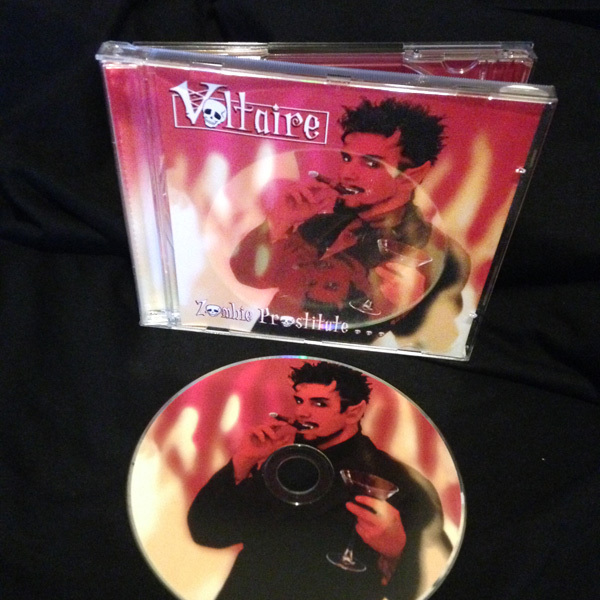 Voltaire performs live across the country every month. From city to city the cries are the same, “When is ‘Hell In A Hand Basket’ going to be on a CD?” “Where can I get my hands on a recording of ‘Zombie Prostitute’ or ‘Cantina?! !’” The fact is, Voltaire has been playing these songs (from his upcoming 2007 full-length Ooky Spooky) at shows for years. It is with fiendish delight that Projekt is at last able to offer the boys and ghouls a glimpse into some of the fiendishly irreverent songs Voltaire performs. Oh, it’s so easy when you’re evil. Never have zombies, cannibalism, prostitution, sacrilege, and hell been topics that are quite so aurally pleasing! Voltaire’s hilarious lyrics are backed up by violins, cellos, and horns. (This is) comedic, black-humored goth rock at its best. 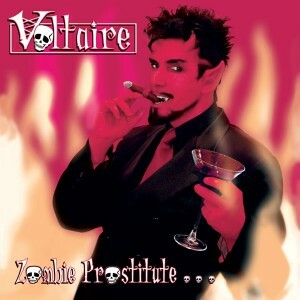 Voltaire really has a corner on the market in this genre, and his acclaim is well-deserved. (This) would certainly be a great choice for any Halloween party, but I also highly recommend this album for anyone interested in checking creepy music with a jovial and light-hearted twist! Indeed, goth does not have to equate with doom and gloom. As Voltaire himself states “It’s a Halloween party in a jewel box,” and for those of us who could celebrate Halloween all year `round, it’s an instant classic!